When you hear the word voice what does it conjure? 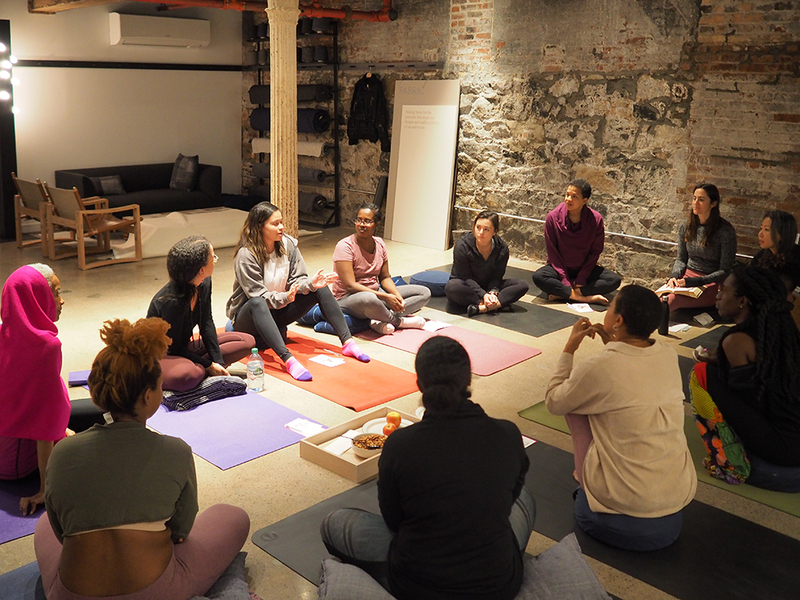 At our event Identity, Your Voice, Your Presence on November 3rd Setu invited a variety of yoga practitioners to share space and explore what exactly is voice in the context of identity. 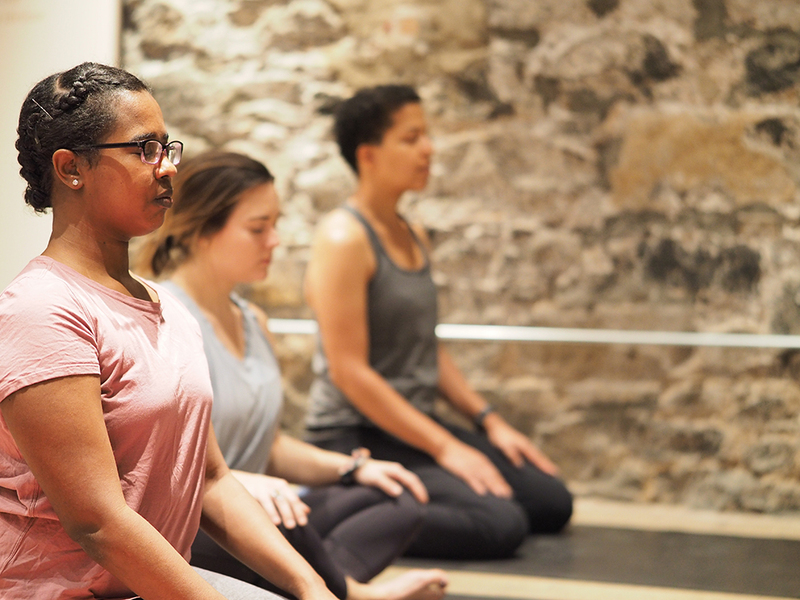 Through a practice that emphasized the opening of Vishuddha, also known as the throat chakra, those in attendance were brought to a place energetically where they could really open up and explore these different concepts. Through conversation amongst attendees, voice was proven to be much more than its traditional definitions linked to sound and modes of expression. Voice was fluid, contextual, and cultural. We asked attendees “What is the relationship between voice and your identity?” and the responses were inspiring and thought-provoking. 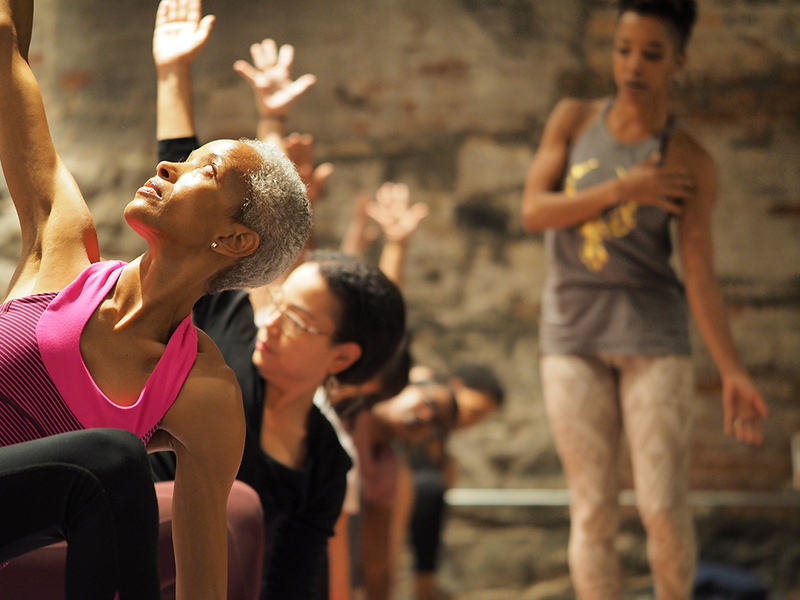 “There is a stereotype that East Asian women are meek and docile” expressed Jooin Im, a Korean-American yoga teacher. “I felt like I had to overcompensate and be outspoken to go against that stereotype and not be pigeonholed.” Jooin’s sentiment was felt by the other attendees, who although were of a variety of different races and backgrounds, also felt the pressure to avoid stereotypes when using their voice or expressing themselves. The attendees expressed that this pressure was formative, but eased with age, self-confidence, and settling into oneself. The group also touched on how voice was fluid in depending on the environment and space. Every day we are showing up and expressing to the world who we are. Our voice, and how we choose to express ourselves or to hold back shapes not only ourselves and our perceptions but also the environments in which we navigate. Just by being our authentic selves, we have the ability to change the entire vibe of a space. Attendees expressed feeling a pressure to conform to expectations in corporate settings, or places where they didn’t feel like they were part of a community. Oftentimes one’s voice is perceived as an individual trait, but in reality, voice and expression are given space through community and encouragement from those around us. 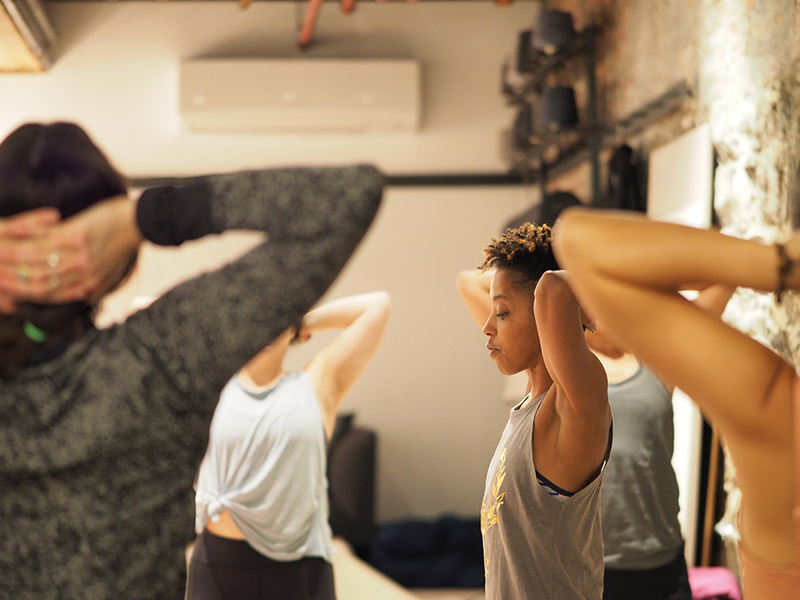 Although we identified some themes, there is still so much to learn about voice, identity, and how these things affect us both on and off the mat. Creating space for conversations like these are vital because one cannot turn inward without having a empathy and an understanding of the world around us. This conversation was only the beginning – and we hope to see you carry it on in your community. Ask yourself and those you practice with: how am I using my voice?